Nellie was born on October 20, 1873 in Chatsworth, Ontario. At the Age of 7, Nellie's family moved to a rural community in Manitoba. Nellie's childhood was generally quite pleasant and left plenty room for her imagination & character to develop. Nellie began questioning the position of women in society at a very young age. When Nellie was 9 there was a picnic for her whole community, she was hoping that she’d be allowed to participate in the races and games with the boys but her mother wouldn’t allow it, saying, "No, when you run your skirt will fly up and it is wrong for women and girls to show their legs." This troubled Nellie deeply, Why was it okay for boys to show their legs, but not girls? This moment, though small and seemingly unimportant, really brought the issue of gender equality to the forefront of Nellie's mind. Nellie’s calling caused people to ridicule her and judge both her and her family. She was often looked upon as a bad teacher and role model because of the fact that she would play football with her students at recess, as football was simply not considered a ladies' sport. Like anyone taking a stand for something unlikely or non-traditional, Nellie found both support and discouragement in her passion for gender equality and women’s rights. By nice women . . . you probably mean selfish women who have no more thought for the underprivileged, overworked women than a pussycat in a sunny window for the starving kitten in the street. Now in that sense I am not a nice woman, for I do care. During the time in which Nellie found her calling, women were actually not considered to be "persons", and therefore did not receive the same rights as men did. Women were refused the right to vote and when they were divorced they were often left with nothing and had no rights to money, property or even their own children. At the same time, many husbands were wasting away their paychecks on alcohol and leaving their wives with nothing. Women needed a voice and a chance to be heard, but how could they possibly do that without the right to vote? "Why are pencils equipped with erasers if not to correct mistakes?" ~ Nellie McClung when arguing for equitable divorce laws. Throughout Canada, United States, and England, Nellie promoted married women's property rights, better care for school children and mother's allowances. Nellie was a valued member of the famous five and helped to win the "Person's Case"
Nellie also worked with the Women’s Christian Temperance Union, which fought for the prohibition of alcohol. 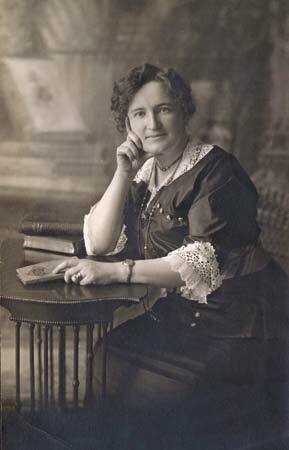 Nellie was elected to the Alberta Legislature in 1921 and served for five years. Nellie published 16 novels, many of which included topics such as women’s suffrage, and memoirs of her life in the political fast lane. Nellie essentially fought for the rights of people who were told they could not fight for themselves. She gave women everywhere a voice and a purpose. Most importantly, she taught people that it’s okay to stand up for what you believe in no matter what, to stand up for yourself, and to stand up for others. Nellie’s message wasn’t just about giving women the right to vote, it was about giving women the right to be equal, to have their opinions be valued as well as respected, and for their role in society to be recognized as an important one. She proved that women could do everything anyone else could. Although Nellie’s fight may have been won here, in many parts of the world gender equality and women’s rights are still major issues. Visit the sites listed below to get involved in Nellies fight for women empowerment, gender equality, and women's rights! Get up to date with recent news involving gender equality & women's rights! "Because I am a Girl is a global initiative to end gender inequality, promote girls’ rights and lift millions of girls – and everyone around them – out of poverty." I thought this was a site and initiative that Nellie would have been proud of and want to get involved in, it also gives many different ideas of how YOU can get involved and make a change!